As part of my healthy hair journey, I decided I wanted to learn more about my hair type and why it would react or not react in various situations and to different types of products. As I started paying more attention to my hair I started noticing things I hadn’t noticed before. Such as my hair takes forever to air dry, all of the strands don’t feel smooth to the touch, my hair will quickly absorb product but doesn’t hold moisture. What I found is that a lot of why my hair reacts or doesn’t react to products is due to the porosity. In a nutshell, it’s the ability your hair, whether relaxed or natural, has to absorb and hold moisture. This ability has been broken into three categories - high, low and normal. Your hair porosity is determined by a combination of genetics and how damaged or not your hair is. High porosity hair absorbs moisture like nobody’s business. On the flip side, it also releases moisture just as quickly. This is because the hair strand has gaps and the cuticles are raised from damage from things like chemical-treatments and heat-styling tools. As a result, high porosity hair has a hard time absorbing products and tends to look and feel dry and coarse. Low porosity hair has a hard time absorbing moisture, but once it does the moisture tends to stay. The cause for this is that the hair cuticle is flat and tight. Those with low porosity hair will experience product build up more quickly and easily and will also notice their hair being more sensitive to products that have protein. Normal porosity hair doesn’t have issues absorbing moisture and doesn’t release it quickly. There are a few different methods to determine the porosity of your hair. 1. Take an online quiz like this one by SheaMoisture: porosity411.com/#whats-your-porosity. 2. Observe and feel your hair when it’s wet and or dry. After removing all of the excess water from your hair so it’s no longer dripping, put your hands in your hair. What does it feel like? Rough or like straw? Your hair is most likely low porosity. Just wet? Then your hair is probably normal porosity. Sticky or like all of the product wasn’t washed from your hair? 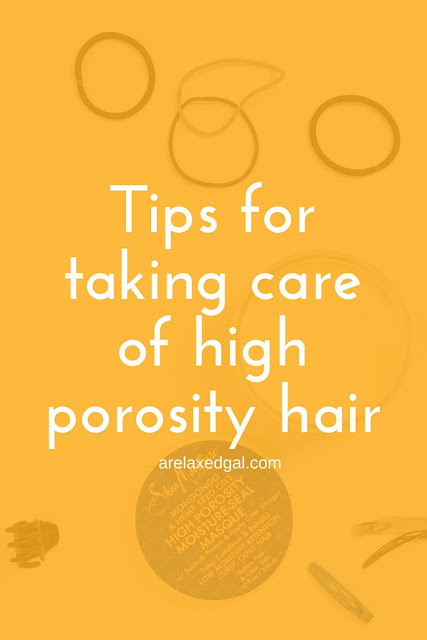 You probably have high porosity hair. When your hair is dry take a look and see how your hair is observing products that you apply to your hair such as a conditioner. Low porosity hair would most likely have the product sit on it and absorb really slowly if at all and there would be some type of residue on the hair. Normal porosity hair would absorb the product at a normal rate. Neither fast or slow. High porosity hair would quickly absorb the product and leave little to no residue. 3. One of the more popular methods is to do a water test. Pretty much if you do an online search on determining hair porosity this is the probably the first thing that will come up. If your hair floats it’s said to be low porosity, if it sinks its high porosity. There are many people who debunk this testing method because it’s not very scientific. I've tried it a couple of times and got different results. One of them was low porosity hair which I know isn't true. The other was normal hair which I could believe even though my hair doesn't act that way. Since the water test gave me kinda sketchy results I opted to rely on the SheaMoisture quiz results and observing my hair. Both methods determined what I already suspected. My hair is high porosity, though I think it has some normal porosity tendencies. The reason I think this is my hair can take a while to fully air dry. I’m not talking hours, I’m talking I can wash my hair in the morning, air dry and it won’t be dry when I go to bed that night. I would think with high porosity hair my hair would air dry quicker. 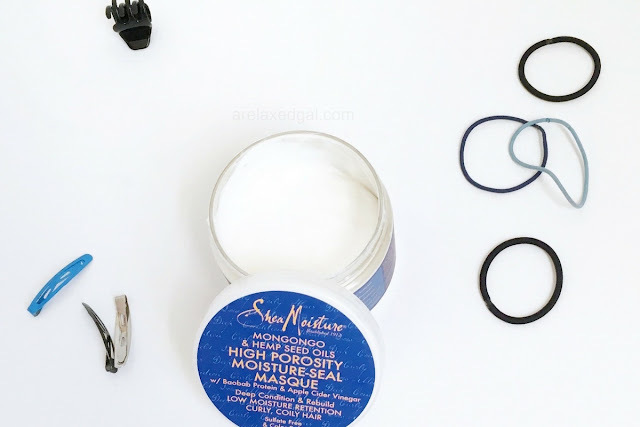 Have you determined your hair porosity? If not, try one of the methods listed above and share your results in the comments. Thank you for doing tips for relaxed hair!! Almost every article on this subject takes me to natural hair sites. They have great tips but I feel it's just not for me. Not to mention the texture difference. I hear you! It's getting harder and harder to find hair tips that are directly applicable to relaxed hair. 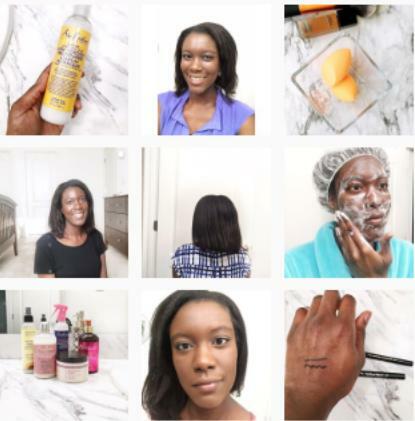 Most of the relaxed bloggers I followed have gone natural. I'm glad you found this helpful.